There hasn’t been a year in recent memory in which there weren’t dozens of new car launches and 2013 was no different. It was, however, an important year because it saw the launch of a new generation of Golf, one of the most popular cars in the UK. It also saw Britain’s favourite car, the Ford Fiesta, undergo a fairly thorough overhaul, and plenty of Volkswagen Group vehicles built on the same platform as the new Golf went on sale. With that said this rundown of the top five most popular car reviews on HonestJohn.co.uk over the past year might be no surprise at all. The pictures below are ordered by popularity with website users. 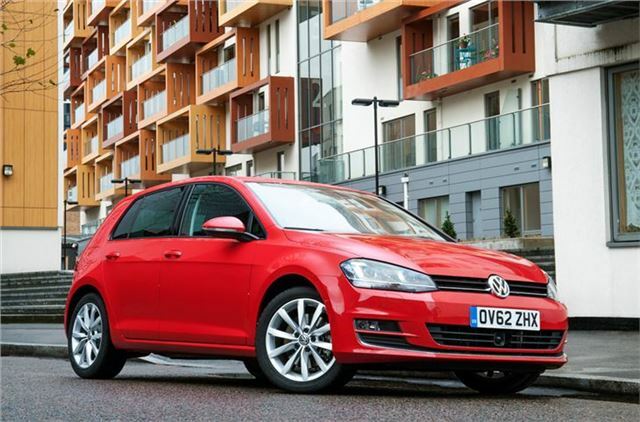 A new Volkswagen Golf is always big news in the motoring industry and the latest model is no exception. It’s the benchmark for interior quality and it comes with the latest active safety technology, like active lane keep assist and collision mitigating brake assist. Even the high performance models – the GTI and GTD – are relatively cheap to run and all variants, even the economy-focussed BlueMotion, are good to drive. It’s easy to see why visitors to HonestJohn.co.uk clicked on the Golf review more than any other in 2013.